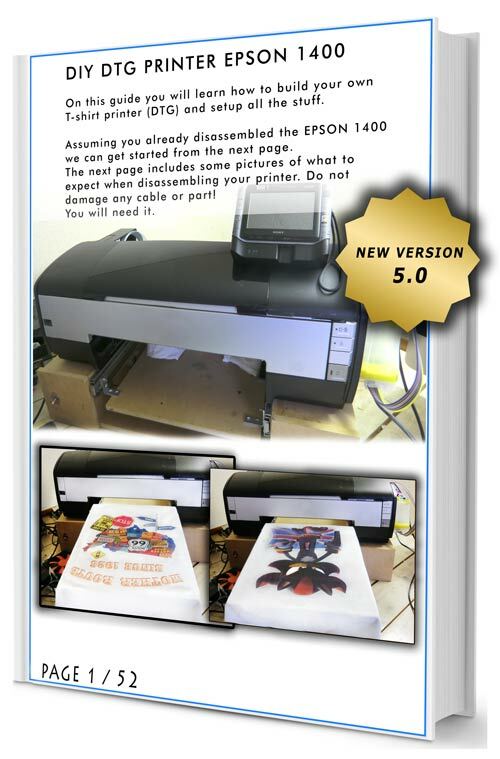 Our very popular DIY DTG guide has gotten a small update to it’s content, I’m very glad to announce that the DTG guide has 1 extra page and some grammar error it had on the previous version, it also had some updates to some pictures and included higher resolution pictures instead of lower ones. If you’re still using the old version (4.0) and wish to upgrade it just send me a message and I will provide you a new link for download. If you plan on getting a DIY DTG for commercial purposes I recommend building your own DTG because in case something breaks or malfunction you’ll know how to fix it and save a lot of money and time. Also when you build you first machine it gets easier to build the next and you might be able to convert other printers as well since you’ll know how everything works.